I wrote this article as so many firms I work with have an interest in but lack much insight into how Private Equity works. Perhaps worse, some manage to convince a Private Equity firm to invest in the project and both parties then experience a painful, and in some cases adversarial, journey. It can also be an incredibly rewarding partnership if the target outcomes are clear, agreed and both parties are working closely and openly to achieve shared goals. Private Equity is capital not listed on a public exchange as it’s composed of funds and investors that directly invest in private companies, or that engage in buyouts of public companies, resulting in the delisting of public equity. Institutional and retail investors provide the capital for Private Equity, and the capital can be utilized to fund new technology, make acquisitions, expand working capital, and to bolster and solidify a balance sheet. Private Equity investment comes primarily from institutional investors and accredited investors, who can dedicate substantial sums of money for extended time periods. In most cases, considerably long holding periods are often required for private equity investments in order to ensure a turnaround for distressed companies or to enable liquidity events such as an initial public offering (IPO) or a sale to a public company. The private equity market is a crucial source of value creation for the economy and regularly generates high financial performance for investors. Venture Capital: This includes Investment in young and innovative companies that need finance either for launch or shortly after their first milestones have been achieved. Venture Capital funding is very much at the high-risk end of the investment spectrum and is particularly active areas of new technology, both information and biosciences. Growth or Expansion Capital: Next stage up is Growth or Expansion Capital which involves a minority stock holding of an established and generally profitable business. These businesses have strong growth potential and need a consolidated financial structure to develop new products or services, scale the business, make acquisitions or increase their productivity. Buyout or Leveraged Buyouts (LBOs): The buyout of mature and profitable companies using financial leverage debt (Financial leverage refers to the use of debt to acquire additional assets. Financial leverage is also known as trading on equity). Buyouts can involve small and medium companies with a multi-million turnover, as well as large corporates. Special Situations: Special situations describe investments in subordinated debt (or mezzanine debt), where investors want to improve their returns through equity, for instance. The average cycle time of time for investments in private companies is 3 – 7 years whereas Private Equity funds tend to have much longer spans of around 10 years. The opportunities for an early divestiture are very limited and the investor will be locked into a defined-term project. What companies are a good fit for investment? Private equity isn’t for all types of companies. Investors look for businesses that show clear growth potential in sales and profits over the next five years. If your company can’t offer this then they won’t be interested in investing in it. If the market you work in or your company is growing, a private equity firm might be able to help you. They might also be able to help you recapitalize your company, exit it or make a transition so that the management team buys it. 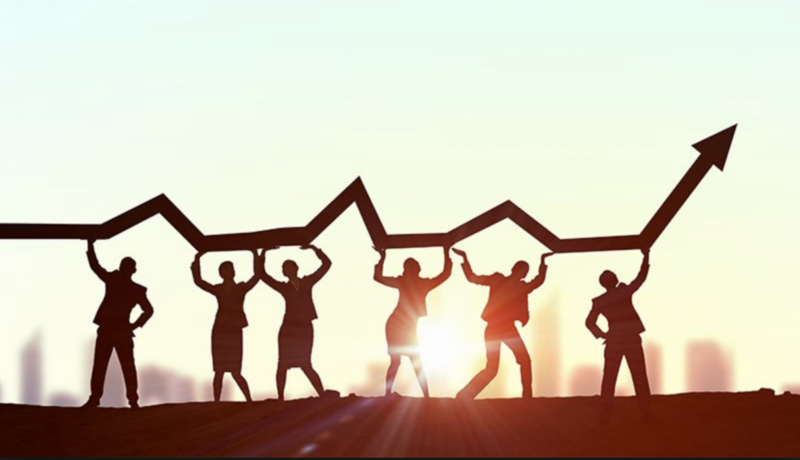 Strong team: is the most important element of an attractive private equity investment, except when the plan is to change managers, and is a decisive factor as the fund management will not be involved in the day to day running of the business. Positioned to lead the market: Companies should have strong products with meaningful value propositions that compete effectively with other industry players in high growth markets. Most private equity firms (turnaround firms excluded) also want to see a history of growth. Ability to forecast and predict future revenue: This gives private equity firms more confidence in ongoing growth. Companies with multi-year contracts, repeatable sales cycles, and recurring subscription revenue tend to be most attractive to private equity firms. Good Cash-Flow: Debt is often a component of a private equity transaction and paid with cash flows from the company. Since this debt is senior to a private equity firm’s investment, companies with strong cash flow are preferred as they will be able to pay down debt, interest payments and cover operational costs. Ambitious but with a realistic business plan: a poor business plan with meager growth is of no interest to them. If the plan predicts important sales and profit growth, then make sure you can back it up with facts. Everything should be coherent. Spread risk: Companies with high concentrations in suppliers or channel partners, with no available substitutions, are riskier. Companies without internal processes to manage sales, marketing, customer service, IT, etc., are also riskier. Multiple exit/return opportunities and clear exit strategy: Private equity firms say that when they study a company they dedicate 50% to studying the investment and the other 50% to studying how they can divest after a few years. The ratio is not surprising as Private equity makes most of its money when they exit companies and hence there has to be a buyer. They will also evaluate the logical buyer universe before investing and an ideal scenario is a wide range of potential future acquirers as well as other private equity firms. Clear exit strategy: private equity firms say that when they study a company they dedicate 50% to studying the investment and the other 50% to studying how they can divest after a few years. Therefore, when they invest they normally know how they plan to exit. I advise you to ask them before how they plan to do this. Security: unlike banks, private equity firms don’t know what their return on investment will be. In fact, they might lose everything if their growth plan doesn’t work and the company ends up on the brink of bankruptcy. Private equity firms feel more secure if they get seats on the board so that they can influence the management of the company, agreeing or vetoing changes made to the original business plan. It’s very important that you negotiate all these aspects well so that the shareholders agreement is balanced and that both parties are protected, not just the private equity firm. Contingency plan: in every business there are ups and downs. Understanding what could go wrong and having a contingency plan ready in case it happens is very important. It will help build trust. Return on investment: return is closely linked to entry price. If the company is very attractive and there are competitors trying to invest in it, private equity firms will be more willing to invest greater amounts and receive lower returns. Once the private equity firm invests in the business it becomes a portfolio company of the private equity firm and staff from the private equity firm will sit on the board of the business to help advise on strategic decisions the company is facing. The best PE firms never overpay when they buy a business. They have considerable experience and expertise in assessing value and are looking to buy intelligently. The deal they strike will always be designed to make them money. That might mean they get preferences when there are payouts or load the business up with debt to ensure great returns for their capital. PE firms know the sell point, they do not invest for the long-term and the intent is to divest, perhaps to another firm for more than they paid for it as a way to generate a return for their investors, 5 to 7 years after their investment. Also be careful as to achieve this some PE firms may look to drive short-term profits as a way to drive up the value of the company. When investors and company owners come together for the wrong reasons it can end badly and all too frequently there can be churn in the senior management team. In my own experiences its typically towards the end of the first year when it’s clear that the financial projections that were assembled to get the investment just don’t stack up. The overall guidance is to be absolutely honesty and realistic when you build initial forecasts and to choose your investment partner wisely. Make active use of all that experience and expertise going forward, and be absolutely open and that includes any mistakes as all PE firms want a success story but understand that it can be a bumpy road!